E: If you see our instagram video, this is pretty much us. ^_^ We are so excited! We should have a book launch concert! I did NOT know you were writing that! Woah. A WEB CONCERT!! Online Web Concert for the Alls!!! The book looks amazing! When can I buy one at my local bookstore? 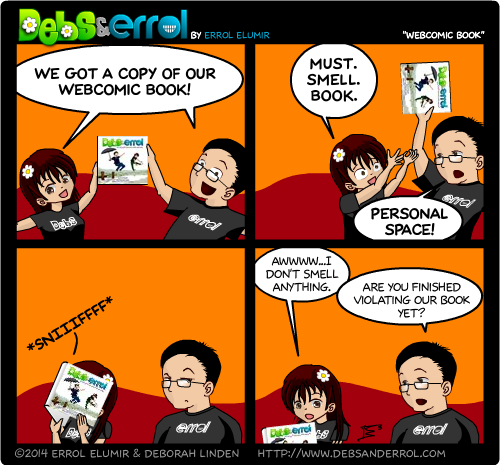 Nothing must get in the way of book smelling! !